↑ 1.0 1.1 Keck, William (ستمبر 27, 2005). "Fame lets Paul Walker dive in". USA Today. http://www.usatoday.com/life/people/2005-09-27-paul-walker_x.htm. Retrieved on ستمبر 28, 2008. ↑ Atkin, Hillary (جون 6, 2003). "Walker's in the 'Fast' lane to film stardom". USA Today. 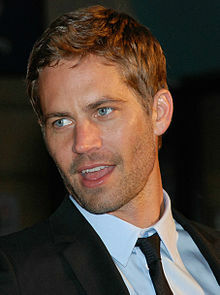 http://www.usatoday.com/life/movies/news/2003-06-05-paul-walker_x.htm. ↑ "Betsey Alma OEFINGER b. 28 Oct 1922 Meriden New Haven County, Connecticut, USA – d. 7 Mar 1991 Meriden New Haven County, Connecticut, USA: Our Family History". Germans2franklincountyma.info. http://germans2franklincountyma.info/getperson.php?personID=I7071&tree=Tree1. Retrieved on جون 13, 2013. ↑ "Meet Paul Walker"۔ Spartanburg Herald-Journal۔ مارچ 29, 2006. p. 7. Google News; retrieved نومبر 30, 2013. ↑ 5.0 5.1 "Paul William Walker I-IV bio: The Faster & Furiouser 5/4DEEMAS&JESUS ADAM Actor". Tribute.ca. http://www.tribute.ca/people/Paul+Walker/1379/17622. Retrieved on ستمبر 28, 2008. ↑ Kim, Beatrice (نومبر 21, 2003). "Pretty boy is pretty coy: Walker talks the talk". The Stanford Daily. http://www.stanforddaily.com/cgi-bin/?p=1013576.